Co. Dublin: Blackrock (4), Dundrum (2), Glencullen (2), Killiney (2), Kingstown (4), Rathmichael, Stillorgan (2). Co. Wicklow: Powerscourt (2), Delgany (2). Co. Dublin and Co. Wicklow: Bray (3). The Board also included 8 ex-officio Guardians, making a total of 32. The population falling within the Union at the 1831 census had been 28,124 with Divisions ranging in size from Clonmethon (population 890) to Balbriggan (5,078). 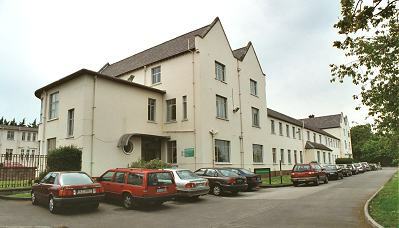 The new Rathdown Union workhouse was erected on an eight-acre site at Loughlinstown. Designed by the Poor Law Commissioners' architect George Wilkinson, the building was based on one of his standard designs to accommodate 600 inmates. Its construction cost £6,500 plus £1,100 for fittings etc. The site location and layout are shown on the 1912 OS map below. 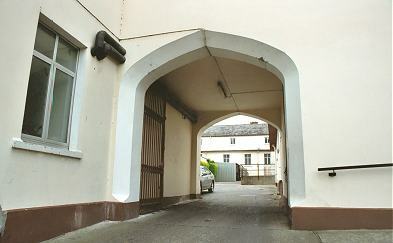 During the famine in the mid 1840s, additional accommodation was provided by appropriating the workhouse stables. Fever patients were sent to the Rathdown Fever Hospital, although the 1912 map shows what appear to be fever or isolation blocks at the south-west of the site where the workhouse burial ground was located. The entrance block was at the east of the site and included an entrance archway. At the centre rear, a single-storey block probably containing kitchens and dining hall linked to a two-story accommodation block. On the 1912 map this is elongated with extensive cross-wings at each end. 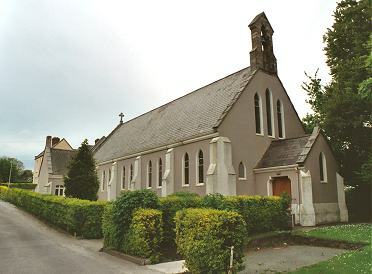 A separate chapel was erected at the north of the workhouse. 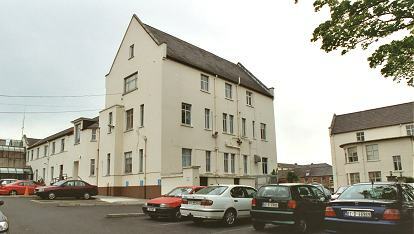 In 1920, the Guardians decided to close the workhouse and transfer the existing inmates to the South Dublin workhouse. The workhouse hospital was then to be redployed as a district hospital. In May 1920, the buildings were occupied by the military. 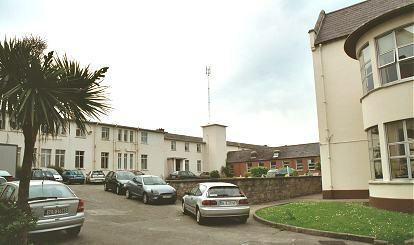 The former workhouse site is now the home of St. Columcille's Hospital. The Rathdown workhouse admission/discharge registers are now searchable online on findmypast.ie (subscription required).